Businesses of all sizes are now relying more frequently on freelance employees to increase business mobility, gain specialized skills and lower overall costs. Today, freelancers comprise about 25-30% of a US-based company’s workforce. Most of the time, however, freelancers are not on the payroll; they don’t attend office events and many work remotely. All of these factors present unique challenges for managers when it comes to creating productive, cohesive virtual teams. With this new workforce, managers need to account for the lack of face-to-face interaction, time changes, and the use of various work devices to create an effective management style that will develop cohesive, productive teams. Studies illustrate that two of the biggest frustrations for managing virtual teams include creating a shared sense of purpose and developing team cohesion and trust. Onboarding: A strong onboarding program is important for freelancers as well as permanent employees. Without it, freelancers never truly understand the overarching mission and values of the company. When creating an onboarding program, your main goals should include bringing your new employees up to speed as quickly and efficiently as possible without extraneous material. While context is important, the value is lost if you inundate your team with too much information. A strong onboarding program provides information to help employees understand the company’s mission, values and vision. The team gains an understanding of its role within the company and how their individual roles will align with the company as well. They should also learn the scope of the project, including a clear idea of goals, project criteria, deliverables and timelines, as well as their project’s impact on the company as a whole. Introductions: With new teams, introductions serve to provide a foundation that builds team cohesion, and freelance teams are no different. In fact, permanent, full-time employees who see each other every day have numerous opportunities to interact and build relationships. 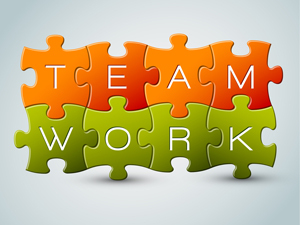 With virtual teams, this communication does not occur as easily, but it is still required to develop a collaborative team. There are numerous ways in which to encourage familiarity, including video and web conferencing tools such as FaceTime, Go To Meeting, and WebEx. These tools allow team members to introduce themselves and discuss recent activities and interests. Managers can also display team bios and photos in order to illustrate the various projects, skills and strengths of individual team members. Creating familiarity and a level of comfort among your team is incredibly valuable in developing an effective team because it improves collaboration, communication and enhances productivity—all of which improve the project’s outcome. Goals: Set specific goals for your team as well as each individual employee. It’s imperative that employees understand the end goal as well as all of the steps required to reach it. Creating weekly objectives will help to form a cohesive, successful team that has a strong understanding of the project as well as its individual components. Roles and Responsibilities: The team should clearly understand their individual responsibilities and how their role fits into the overall picture. Setting guidelines for team interaction and responsibilities is critical to the success of a virtual team, and communication is a great place to begin. For instance, managers should clearly define the standard method of team communication (e.g. email, phone or web conferencing) as well as timelines (e.g. what is a reasonable time to respond to an email?). Setting these guidelines in the beginning will promote effective team interaction. Communication: Open communication is always important. Without it, employees are prone to feeling lost or confused. Create a dialogue between your team members and the rest of the full-time staff involved with the project in order to ensure that your freelancers feel like they are an important part of the team. This also provides the opportunity for them to share new ideas and suggestions that will help your company grow and improve. Build a Relationship: It is likely that you will require similar services from your freelancers in the future, so take this opportunity to develop a strong relationship with them so they leave feeling as though they were part of the company and would want to work with you again in the future. Bottom line: Through clearly outlining roles and responsibilities, promoting communication and building relationships with your freelancers, you will develop cohesive, productive teams that can prove invaluable to the success of your company.